I've had a membership to the Cranbrook Institute of Science for many years...and for a very special reason. I grew up at a time when young girls were not encouraged to pursue interests in science or math. In fact, we were often discouraged when we expressed an interest in these fields. I will always remember a so-called high school "guidance counselor" who advised me to take cooking, rather than advanced math (true story!). I took the advanced math class, but that "advice" continues to rankle me to this day. Years later, I noticed that the Cranbrook Institute of Science offered programs to encourage junior high- or middle-school age girls to consider science as a field to study, or to possibly to pursue as a career. I knew I had to support that effort in at least some small way. I bought a membership to the museum, and I've renewed it every year for just that reason. 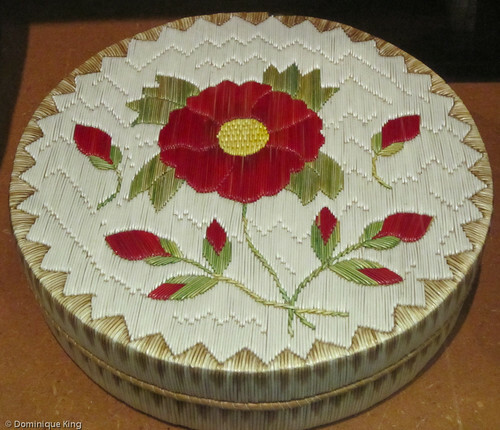 The museum is part of a 319-acres National Historic Landmark campus that is home to a number of cultural, architectural and educational gems that started with the vision of a country home to George Booth and Ellen Scripps Booth in the early 1900s. George owned a successful iron-working company in Windsor, Ontario, and his wife Ellen was the eldest child of the founder of the Detroit News. The couple lived in Detroit with their five children as George moved into management with this father-in-law's newspaper business, invested in other newspapers and built his own publishing company into a profitable publishing chain in Michigan. The Booths longed to live further out in the country and purchased a 174-acre farm in Bloomfield Hills, about 25 miles north of downtown Detroit, in 1902. They named their new place Cranbrook for an English town where George's ancestors lived. The Booths died in the 1940s, and their son Henry Scripps Booth organized auxiliary groups during the 1970s to help maintain the property and preserve it as a beautifully landscaped cultural and educational campus for future generations. Henry also worked to grow the endowment his parents left to support Cranbrook and grow the campus as an internationally known center for art, education and science. 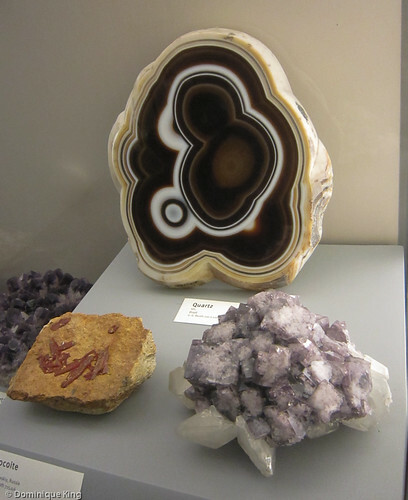 George and Ellen Booth traveled extensively, and in 1926, the couple visited Denver and purchased 277 mineral specimens that became a key building block for the Institute of Science's collections. 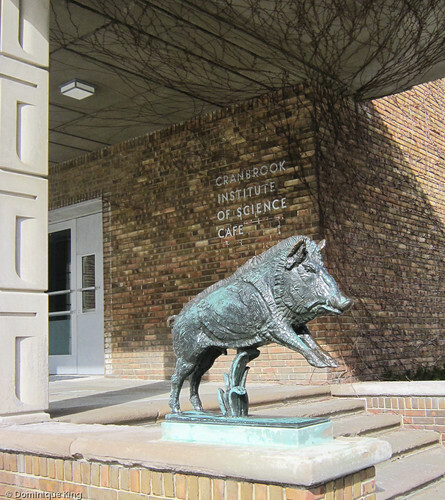 In 1938, Cranbrook dedicated the Eliel Saarinen-designed Institute of Science building. The architecture of the building is fascinating. Saarinen and the architects who executed a 1990s renovation and expansion paid careful attention to the play of light and movement throughout the museum with the goal of making each visit to the museum unique. Be sure to check out the short film on continuous play at the small circular theater in the front galleries to find out how details like the shape of the door handles, curve of the galleries, slope of the floors, special gardens and other architectural features make the most of the natural environment at Cranbrook. 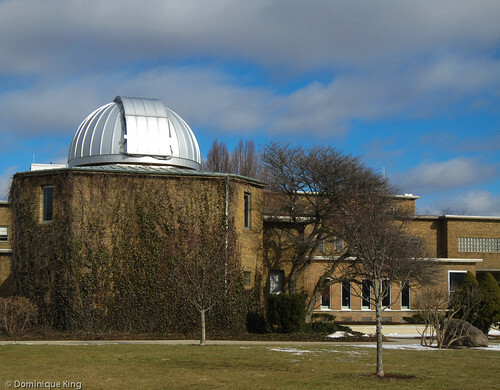 The Cranbrook Institute of Science draws more than 200,000 visitors each year. 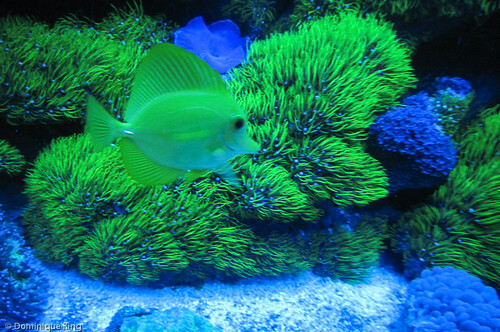 Popular attractions at the museum include its planetarium shows and The Bat Zone. The Bat Zone is a separate building housing more than 150 bats for visitors to observe and learn about (the museum stresses that wild animals are not pets and that the Bat Zone animals are injured or rescue animals that live in the wild on their own). We spent part of our most recent visit seeing the museum's Extreme Deep: Mission into the Abyss exhibit, which explores notable Great Lakes shipwrecks in history and features some cool equipment used to explore the bottom of the oceans. This exhibit runs through May 26. 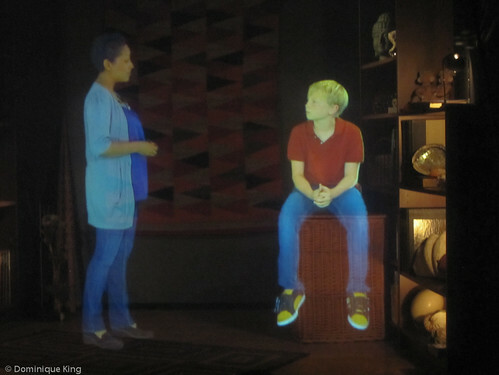 The Story of Us exhibit features a holographic-like guide and touch-screen stations that allow visitors to learn more about the museum's anthropology collection and how it tells the story of humanity and its interplay with nature. 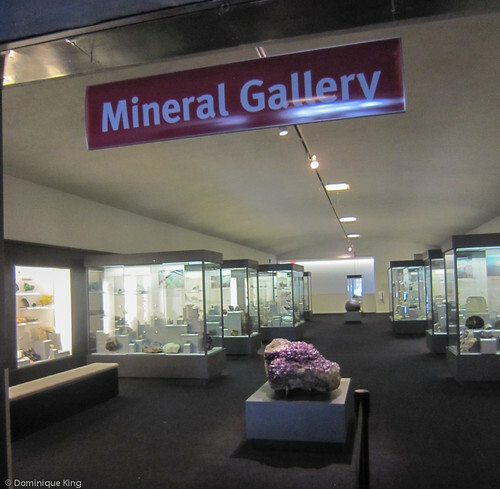 My favorite permanent collections at the museum include galleries featuring some of their beautiful handmade Native American artifacts and, of course, the Mineral Gallery displaying many of its 11,000-plus specimens (I could stay in the latter gallery for hours!). I greatly appreciate the museum's mission that "generates the enthusiasm for learning about the natural world that will produce the scientists of tomorrow" and provides an opportunity to share that enthusiasm with girls...and everyone else. Connect with The Cranbrook Institute of Science at their Web site, on Twitter or on Facebook. Want to learn more? Check out The Campus Guide: Cranbrook by Kathryn Bishop Eckert. You can also check out Visiting metro Detroit's Cranbrook Gardens and Photowalk at Cranbrook Gardens here on Midwest Guest. Can you believe I haven't been there yet? What an amazing place!